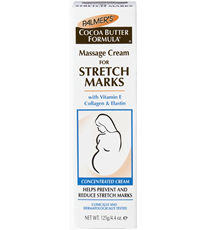 Unique combination of Cocoa Butter, Vitamin E, Collagen and Elastin helps to prevent and reduce existing stretch marks either from weight loss/gain or pregnancy. This entry was posted in 1 and tagged Fr3b, Free giveaways, free samples, freebies, MASSAGE CREAM, PALMER'S COCOA BUTTER MASSAGE CREAM FOR STRETCH MARKS, PALMER’S, S’pores 1st Sampling Concept Store, singapore free beauty samples, singapore’s 1st online sampling platform, skincare, www.fr3b.com. Bookmark the permalink.